Arab Spring in America? Creation or Apes? earth are gathered together against it. "If Israel does not agree to terms laid out by the PA, Fatah recommends a new intifada to for Israel to give the PA what it wants"
Someone received this from EOD Masterblaster this morning , - Please pray for them. Justin Allen, 23, Brett Linley, 29, Matthew Weikert, 29, Justus Bartett, 27, Dave Santos, 21, Chase Stanley, 21 Jesse Reed, 26, Matthew Johnson, 21, Zachary Fisher, 24, Brandon King, 23, Christopher Goeke, 23, Sheldon Tate, 27. Exodus 2:5-10 5 Then Pharaoh’s daughter went down to the Nile to bathe, and her attendants were walking along the riverbank. She saw the basket among the reeds and sent her female slave to get it. invaded it and carried off all the goods found in the king’s palace, together with his sons and wives. Not a son was left to him except Ahaziah,[b] the youngest. Esther Chapter 3: 8-15 and Chapter 6: 1-11 Story how God keeps the Hebrew nation safe. 1 Thessalonians 2:18 "We would have come unto you, even I Paul, once and again, but SATAN hindered us." True story how the Lord helped Israel stay alive as a nation when attack in 1948. 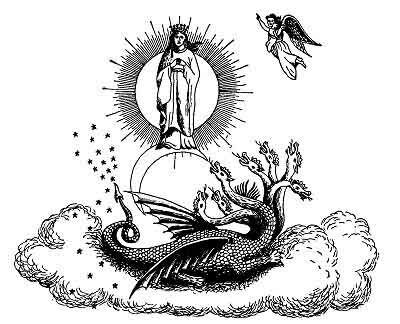 Revelation 12:1-2 THE FIRST WONDER: THE SUN-CLOTHED WOMAN. Revelation 12:3-43 And there appeared another wonder in heaven; and behold a great red dragon, having seven heads and ten horns, and seven crowns upon his heads.4 And his tail drew the third part of the stars of heaven, and did cast them to the earth: and the dragon stood before the woman which was ready to be delivered, for to devour her child as soon as it was born. Revelation 12:9. 9 And the great dragon was cast out, that old serpent, called the Devil, and Satan, which deceiveth the whole world: he was cast out into the earth, and his angels were cast out with him. John 8:44 44 Ye are of your father the devil, and the lusts of your father ye will do. He was a murderer from the beginning, and abode not in the truth, because there is no truth in him. When he speaketh a lie, he speaketh of his own: for he is a liar, and the father of it. John 12:3131 Now is the judgment of this world: now shall the prince of this world be cast out. John 14:30 30 Hereafter I will not talk much with you: for the prince of this world cometh, and hath nothing in me. John 16:11 11 Of judgment, because the prince of this world is judged. Luke 4:5-7 5 And the devil, taking him up into an high mountain, shewed unto him all the kingdoms of the world in a moment of time. 6 And the devil said unto him, All this power will I give thee, and the glory of them: for that is delivered unto me; and to whomsoever I will I give it. 7 If thou therefore wilt worship me, all shall be thine. Job 38:77 When the morning stars sang together, and all the sons of God shouted for joy? Genesis 3:14-15 14 And the Lord God said unto the serpent, Because thou hast done this, thou art cursed above all cattle, and above every beast of the field; upon thy belly shalt thou go, and dust shalt thou eat all the days of thy life:15 And I will put enmity between thee and the woman, and between thy seed and her seed; it shall bruise thy head, and thou shalt bruise his heel. Satan didn’t waste any time on attacking God after the flood only this time Satan used Ham to do Satan’s work. It wasn’t long before Noah planted a vineyard and drank himself drunk with the wine from his vine yard. The result was the curse of Canaan the Son of Ham. as seen in Genesis 9:18-27. I will read the scriptures and connect the dots for you. Leviticus 20:11 'If a man sleeps with his father's wife, he has dishonored his father. Both the man and the woman must be put to death; their blood will be on their own heads. Deuteronomy 22:30 A man is not to marry his father's wife; he must not dishonor his father's bed. 1 Corinthians 5:1It is reported commonly that there is fornication among you, and such fornication as is not so much as named among the Gentiles, that one should have his father's wife. Isaiah 14: 12-15“How you are fallen from heaven, O Day Star, son of Dawn! How you are cut down to the ground, you who laid the nations low! You said in your heart, ‘I will ascend to heaven; above the stars of God I will set my throne on high; I will sit on the mount of assembly in the far reaches of the north; I will ascend above the heights of the clouds; I will make myself like the Most High.’ But you are brought down to Sheol, to the far reaches of the pit. Ezekiel 28:2 “Son of man, say to the prince of Tyre, Thus says the Lord God: “Because your heart is proud, and you have said, ‘I am a god, I sit in the seat of the gods, in the heart of the seas,’ yet you are but a man, and no god, though you make your heart like the heart of a god. 9 That is why it was called Babel[c] —because there the Lord confused the language of the whole world. From there the Lord scattered them over the face of the whole earth. 26 After this, his brother came out, with his hand grasping Esau’s heel; so he was named Jacob. [e] Isaac was sixty years old when Rebekah gave birth to them. 27 The boys grew up, and Esau became a skillful hunter, a man of the open country, while Jacob was content to stay at home among the tents. Genesis 27:42 42 When Rebekah was told what her older son Esau had said, she sent for her younger son Jacob and said to him, “Your brother Esau is planning to avenge himself by killing you. Exodus 2:5-10 5 Then Pharaoh’s daughter went down to the Nile to bathe, and her attendants were walking along the riverbank. She saw the basket among the reeds and sent her female slave to get it. 6 She opened it and saw the baby. He was crying, and she felt sorry for him. “This is one of the Hebrew babies,” she said. This is a special note to anyone new at my prophecy site who chooses to read my prophecy documentary. My book was written in the hope that those reading it will be driven to the Bible. This book or, for that matter any other book, should never come or be placed above the Holy Bible. My book "The Last Chronicles of Planet Earth" was written only to help you see how close we are to the second coming of Christ, and how important it is for you to begin studying the Bible in preparation to meet Jesus. Millions of people know nothing about the Bible or, Bible prophecy and will not be ready to meet Christ and my mission is to bring Salvation to those who have not received it yet and to get people ready for the second coming. The Last Chronicles book will help you see exactly what the Lord has shown us about these last days via His Word. I want everyone who is going to read about The Last Chronicles of Planet Earth Missions today to understand I have made it a point to tell each Pastor working with me to make sure that everyone knows the Bible must come first. Yes the pastors are using my work to open the eyes to just how close we are to the second coming of our Lord but, once the people come to Christ for Salvation it is most important to be studing the Word of God. My book is a great tool to use as references to the prophecies in the Bible but, let us all make sure of our priorities of which the Bible is never to take second seat to any book on this planet! I have two missions partners on a mission trip that I want to give you up-dates on. The first is a mission to Sailkot City which Pastor Fiaz Awar is on his way to preach Jesus. Sailkot city is in Pakistan. I received this email from Pastor Fiaz today. Pastor Fiaz was on a mission trip a little over a week ago and was in a motorcycle accident. Fiaz broke his leg. Nothing is stopping this faithful Brother in the Lord from spreading the Good News about our Savior Jesus. Below is a photo of Pastor Fiaz before he broke his leg. Please pray that his missions trip is blessed and many souls are saved. Photo of where Pastor will be (Siakot). The second mission trip is headed by our lead Pastor in Kenya, Pastor Titus. This mission has two main focuses. The first focus is a Chruch will be planted in Wamba and the second will be to spread the Gospel to as many villages as the team can get to. The first two photoes are of Pastor Titus and his team reviewing the area where the new Church will be built. This email from Pastor Titus will show you who in on the mission trip. The pictures I sent to you of people lifting hands are those giving their life to christ. The picture I have taken man holding me is Pastor David from Turbo, myself Titus Etiang from Baharini Eldoret, The short man is Pastor Enoch .k. Mt. Kaberwa Mt. Elgon.and the new pastor Erenest Mwole from Kitwamba.all these pastors are as the result of last chronicles outreach team. The names of my key team members are key board man is Barasa. Giutorist Thomson Mosoti. Worship songs leader Pastor David Sekina . Martin Simiyu Barasa. Kenn Agama . Pastor Enoch .K.John Opuko. God bless am creating time to write on how your ministry have blessed many. Reviewing where new Church will go up! Map below shows you exactly where Wamba is in Kenya. Photo below is a picture of Pastor Titus beginning to preach Jesus. The rest of the pictures are some pictures of the mission trip. As you can see from the next photo these are the people who have just given their life to Christ! THE END. NOT AT ALL ONLY THE BEGINNING! Prophecy Sign: Daniel 7:24 24 And the ten horns out of this kingdom are ten kings that shall arise: and another shall rise after them; and he shall be diverse from the first, and he shall subdue three kings.Prophecy Sign: "And the ten horns which thou sawest are ten kings, which have received no kingdom as yet; but receive power as kings one hour with the beast. These have one mind, and shall give their power and strength unto the beast" (Revelation 17:12-13). From my June 6, 2012 post: Events being played out in the European Union right now may lead to the 10 horns Daniel warned us about and, the 10 kings of which Jesus warned us about in the Book of Revelation. The ten horns and ten kings are one in the same. We know that once the ten kings are here, shortly after the little horn (Antichrist), will rise to power. We are watching what comes out of the EU's meetings as they are talking about forming a new union as a result of the debt mess in the EU. Is it possible the union could end up beinging a union of ten nations running the banking system for the EU? I am watching these events very close. Daniel also warned the revived Roman Empire would not hold together and it could be possible if the EU nations break off they may just might end up forming a group of ten. At this point we see the EU is doing exactly what Daneil showed us as they seem to be breaking apart at the seems. European Commission President Jose Manuel Barroso has said member states must agree to a big common budget, a future banking union and - ultimately - political union inorder to save the EU. His speech at the European Parliament in Strasbourg on Wednesday (16 June) comes before an EU summit on 28 June. Barroso, EU Council president Herman Van Rompuy, European Central Bank chief Mario Draghi and Jean-Claude Juncker - the head of the euro-using countries' club, the Eurogroup- are drafting a joint paper on how EU leaders can stop the crisis. Europe mulls major step towards "fiscal union"
A weeklong barrage of rockets on Israel'ssouth continued early Saturday with more than 20 Qassams being fired from theGaza Strip towards the western Negev. A man was injured in one of the blasts. On Friday night, the Ashkelon region came under fire,scrapping expectations of an imminent ceasefire. Three rockets exploded after10 pm in the Hof Ashkelon and Eshkol regional councils. The IDF responded witha strike on a terrorist cell that was launching rockets in Gaza, killing oneand injuring three. Overnight, IAF aircraft attacked three Hamasbases in the Strip. Palestinian medical officials reported that 20 people wereinjured. The Iron Dome missile shield has successfullyintercepted five Qassam rockets that were fired towards Israel's south from theGaza Strip on Saturday morning, according to the IDF. I know I am on a break but I had to give you this news concerning Nero's Palace. Do I think the Antichrist may choose to live in Nero's Palace? Anything is possible. The only way people will find this answer is if they are left behind after the Lord removes His Chrurch. For those who are left behind they will find out exactly where the Antichrist is living. If you came by my web site by mistake today let me assure you it was no accident. I am sure the Holy Spirit wanted you here. Take advantage of my free prophecy book which has more information in it and, the most current information you will find in the market place. What is the difference between my book and the rest? My is free! No strings attached, just click the link above and begin reading how the Lord is warning all of us that He is coming back soon! Don't believe this, take the challenge and read the proof, everything the Lord has warned us about these last days is coming to pass. In 36 years of my ministry I have never taken more than a week off. Recently the Lord has shown me that it is time I pull back and rest, a real rest. As a result of getting confirmation that I do need to take time off, I have finally entered all the new material I have for my newest up-dated edition of my book. You have no idea how hard it is going to be to take a real rest. All I have ever known since receiving Jesus as my Lord was to press on in the Lord's work. I thank the Lord for my close Brothers and Sisters in the Lord who have seen up close that I need time off and have asked me to rest. Trust me when I say I will miss you all while taking time, real time with Christ. I am sure my wife will be very happy to have me around and focus my attention on her. Timothy Moore from Ascent Ministries and, the DiMora Ministry/Last Chronicles of Planet Earth Ministry have teamed up to do the Lord's work. The link below will show you where we are doing the work and with whom we are doing it with. We could use your prayers and whatever the Lord leads you to help. The link below was up-dated today June 21, 2012. We are winning souls in Pakistan and, adding on new Pastors who have read the Last Chronicles of Planet Earth book. I was amazed in a email today from Pastor Fiaz in Pakistan that he hasn't heard anything about what is in my book. The information is blowing the winds against Satan and, people are getting saved as they see for themselves Jesus words concerning prophecy have come to pass and, are also in the process of being fulfilled. I am honored at what Jesus is doing via Timothy Moore and myself as we press on for the Kingdom of Jesus Christ.